That’s a question we get over and over again from our clients and it’s really the wrong question to ask. First of all, advertising should not be considered an expense. It’s an investment. When set up and managed properly, online advertising will generate a positive return on investment (ROI). So the question is not how much to spend, but how much to invest. But even when you swap those two words, it’s still the wrong question! The correct question to ask is “how can you invest more in your online advertising?” And here’s why: If you can profitably invest more, then you will crowd out your competition, earn more market share, and catapult your business to a whole new level. That’s how savvy advertisers dominate the market. If you read our last article, then you already know the answer to this new question. It’s all about maximizing your EPC, or earnings per click. The process of increasing website conversion rates is often called landing page optimization. The term “landing page” is simply the webpage your prospect “lands on” after clicking on one of your ads. The best tool for landing page optimization is a split test. In the most basic split test, you will direct 50% of your traffic to landing page A and 50% to landing page B. As you measure the sales generated from each landing page over time, then you can calculate the best, most profitable version of your landing page. To get started, I recommend you use a tool like Google Analytics (GA) Experiments, Optimizely, or VisualWebsiteOptimizer. GA is completely free and fairly easy to install on your website so that’s a good place to start. All of these tools essentially do the same thing. They split the traffic between webpages so you can measure sales and determine which webpage has the higher conversion rate. Warning: Focusing exclusively on your landing page without taking into account the keywords and ads that generated the traffic can lead to big problems. See “Congruence = Secret To Google AdWords Success” for more on that topic. Average customer value is typically a huge leverage point for most businesses. I touched on this when I explained how to calculate the maximum cost per click for your AdWords campaign. Increase number of repeat purchases. If you sell a product or service that can be purchased more than once, then it’s critical to work on your repeat purchase conversion rates. If your product or service can not be purchased multiple times, then maybe there’s a way to incorporate a subscription service into your business. Repeat purchases and recurring revenue are often the difference between dominating Google AdWords or losing money. Increase number of referrals. Everyone knows how valuable referrals can be. But with advertising, they can again be the difference between profit or loss. If on average every new customer refers another customer, then you effectively double your EPC! Think about how that could change your advertising strategy. I hope by now you have some good ideas for how to increase your EPC. 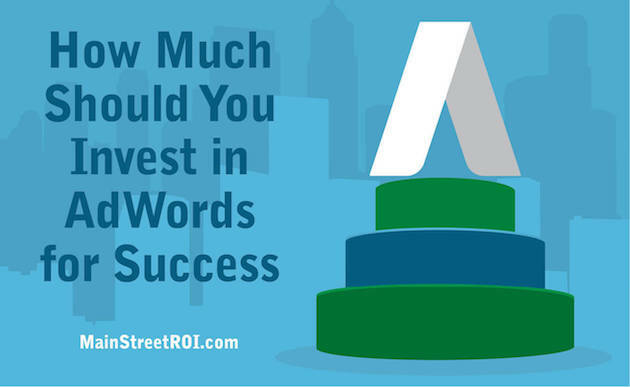 Remember, focus on answering the question, “how can you invest more?” and you will eventually dominate your market in Google AdWords.